It seems that every year we look back and take in an event that has changed things forever. Sometimes it’s a big financial event, such as the 1987 crash or the GFC in 2008. Elsewhere it’s been a terror attack in the US in 2001, or earthquakes in our own South Island backyard in 2011. Technology, too, can deliver the moment in time when it all changes. I still remember that day in 2009 when I realised that everyone who used to have a Blackberry, was suddenly, just six months later, using an iPhone. The year just gone, 2018, has been no different; and yet it has been very different. There has been monumental change. But it hasn’t happened through a single event, but rather many occurrences with a consistent theme, which have collectively changed things forever. That theme is harassment. Bullying. Physical, verbal, sexual and psychological. In the workplace and elsewhere. It has never been acceptable. But now you won’t be able to get away with it. As a result, we all need to change our behaviour. The speed of the change, as it relates to the expectations of how we must now behave, particularly in the workplace, has been so fast that plenty of people have been caught out. We’ve seen senior government servants, Members of Parliament, lawyers, celebrities and plenty of businesspeople struggling to adapt. Most publicly, and utterly embarrassingly, we saw that struggle just a couple of weeks ago in Paris, where Ada Hegerberg, the inaugural winner of the Ballon D’Or for the best female footballer on the planet, was invited to “twerk” as she received the trophy. The 23-year-old Norwegian appropriately ignored the presenter’s suggestion. The reaction of the world’s press was suitably critical. This is what happens when the speed of change means that our expectations in terms of behaviour move faster than most people can adapt. A few weeks back, I saw a university academic interviewed on breakfast television about harassment in the workplace. She said nothing had changed despite the outcry and publicity over the past year. She’s wrong. Everything has changed. In every board meeting or management team meeting, every morning tea with the staff and every ‘one on one’ with our people, we now have to consider how we are treating them, how they are able to identify and report inappropriate behaviour, and how we – the managers and leaders – will respond. We have all seen examples of bosses shouting down their staff in front of others. Sometimes it’s done at a volume or tone that is either demeaning or downright threatening. Such ‘showpieces’ have always reflected poorly on the weak manager in my view. But it happens and it’s always happened. However, now it’s a complete no-no. Do so, and you’ll be called a bully. 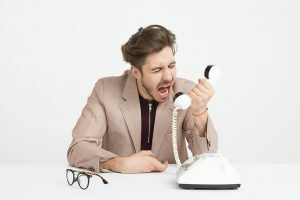 Shout at an employee – and you’ll be called a bully. Managers today, when faced with an employee with a performance issue or someone who has made a simple mistake, must do what they always should have done. Retreat to a meeting room and have a constructive and respectful conversation with their colleague about what has gone wrong and how they can jointly work to improve. But the actions and behaviours we must change now go much further than that. If you go out and have a drink or two at lunchtime, don’t even think about going back to the office. If you like to ‘rock on’ after the office party or the awards night, taking your team and the company credit card with you, don’t. It’s safer to go home. And think twice before you offer a friendly or supportive hand on the shoulder. You might just get accused of something that you didn’t mean to do. When I went to see my team in the immediate aftermath of the Christchurch earthquakes, our people needed all sorts of support. But some of them just needed a hug. I’m not sure how I would deal with that in today’s environment. But we have to figure it out. What behaviours are appropriate when the emotional landscape is moving so rapidly? Inappropriate touching is out of order. But what about a hug for a stressed colleague? And that’s part of the discussion too. We’re all trying to find our way in an environment of changing expectations. Is some of this stuff over the top? Are some of the accusers over-reacting? Possibly. But it doesn’t mean they are wrong. So why has this topic hogged the headlines for the entire year? Because the story, and the expected behavioural change that goes with it, is moving faster than we can.